The 2018 NFL regular season is nearing the home stretch as teams are making a run at the playoffs. There are several terrific matchups on the schedule for week 13. Let’s take a look at the five best games to bet on around the NFL this weekend. The Baltimore Ravens will head into Atlanta on Sunday and will be trying to keep their playoff hopes alive. The Falcons will need to win out to even have a chance at the playoffs after a disappointing start to the season. Atlanta has lost three straight games, and their offense is all out of sorts of late. Quarterback Matt Ryan has thrown for over 3,600 yards this season but has been inconsistent in the red zone. The Falcons have also given up 27.9 points per game, and their defense has taken a big step back from a season ago. Baltimore intends to start rookie quarterback Lamar Jackson again this week in this game, and he has provided a spark to the Ravens offense. Jackson has been running like crazy in the past two games, but he has taken advantage of a pair of horrible defenses. Baltimore is making a late push at a playoff run, but those dreams will take a big hit in this game. The Falcons should be able to score on the Ravens, and they will win this game at home. Bet the Atlanta Falcons -1.0 over the Baltimore Ravens. The Los Angeles Rams will return from their bye week by taking on the Detroit Lions during week 13. The Rams enter this game with a 10-1 record, and still have their sights set on the top seed in the NFC. Detroit has struggled this season and suffered a crushing loss to the Chicago Bears on Thanksgiving Day. 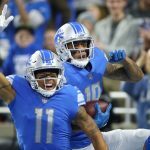 The Lions offense has been a mess all season long, and they will be without two of their top playmakers in this game. Wide receiver Marvin Jones was recently placed on injured reserve by the team, and running back Kerryon Johnson is still injured. The Rams are led by quarterback Jared Goff and Todd Gurley, and their offense has been unstoppable all season long. Los Angeles should be focused and refreshed coming off of their bye week, and they will blow out the Lions. Bet the Rams -10.0 over the Lions. The Carolina Panthers will try to snap a three-game losing streak when they take on the Tampa Bay Buccaneers on Sunday afternoon. The Panthers looked like one of the top teams in the NFC through the first 10 weeks of the season, but the wheels have started to fall off. Buccaneers quarterback Jameis Winston was sharp in the week 12 victory over the San Francisco 49ers but will face a much tougher defense in this matchup. Tampa Bay has struggled to play defense this season, and that won’t work against Christian McCaffrey and the Panthers offense. Look for the Panthers to snap their losing streak with a big win in Tampa Bay. Bet the Carolina Panthers -3.5 over the Tampa Bay Buccaneers. The red-hot Houston Texans will host the improving Cleveland Browns on Sunday at NRG Stadium. The Texans have won eight straight games after their win over the Titans on Monday Night Football, and have all but locked up the AFC South. The Houston defense has been playing at a high level, allowing just 20.2 points per game this season. 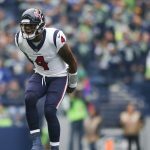 Quarterback Deshaun Watson is starting to look like the player he was last season, and the Texans should be able to score some points against a young Browns defense. Cleveland has gone 4-6-1 so far this season, and with rookie quarterback, Baker Mayfield leading the way, look like a team that could make the playoffs next season. Mayfield and the Cleveland offense are in for a tough test in this game, and things won’t go well for them on Sunday. Bet the Houston Texans -5.5 over the Cleveland Browns. Perhaps the best game on the week 13 schedule is a matchup between the New England Patriots and Minnesota Vikings. This game was billed as a potential Super Bowl preview in the preseason, and both teams are starting to show signs of that taking place. 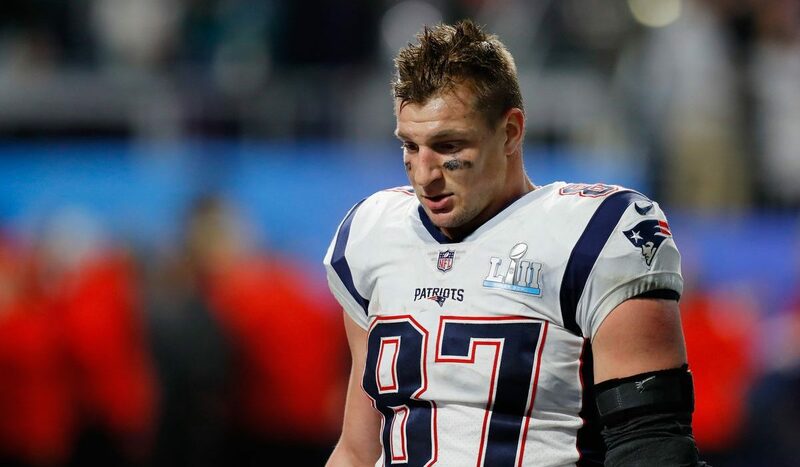 The Patriots are starting to get healthy again, and tight end Rob Gronkowski was a monster in their week 12 victory over the Jets. The Vikings got a great performance from Kirk Cousins in a Sunday night win over the Green Bay Packers last weekend. This should be a terrific football game that will come down to the last few minutes. Fortunately for the Patriots they still have Tom Brady, and he will lead New England on a late game-winning touchdown drive. Bet the Patriots -5.0 over the Vikings.